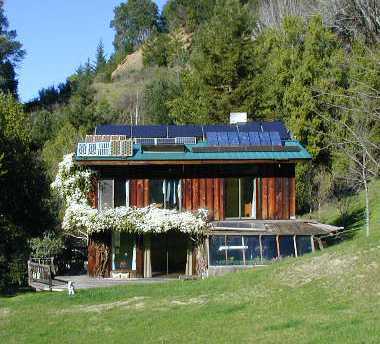 We are located north of San Francisco, in the coastal mountains of northern California, Redwood Country. The extreme climate in this region neccessitates a dual system. Wet winters and dry, hot summers allow us to produce enough power throughout the year for our home and business needs. Our photovoltaic system, which started 34 years ago with one single 30W panel, has grown into a 6KW system. Our small creek, though dry in the summer, produces 4KW in winter when our power needs are greatest. Our property is not connected to the utilities, and we produce all the power we need for the business as well as for our home. 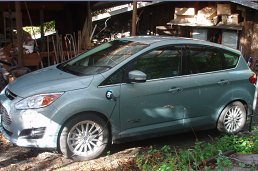 And now we are running our car on solar and hydro power! At HI Power, our micro hydro units have evolved over decades of experience in building, installing, trouble shooting, and living with alternative energy systems. Our goal has always been to build the most efficient and reliable units possible, and we are now manufacturing units using only the highest quality parts and technologies available. Derik Veenhuis, our technician, brings over 30 years of experience in micro hydro into the business. 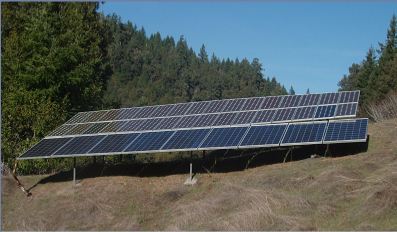 He worked out in the field for many years, installing and maintaining hydro and pv systems. He is always keeping current with new technologies and works with many manufacturers to find products that are compatible with hydro.